This week’s New York Times Sunday Magazine recipe was inspired by a twitter recipe by Rishia Zimmern (who is apparently a celebrity chef? I don’t know?). And this week’s Distributed Kitchen recipe is inspired by the inspired recipe. It’s a inspir-ception. The original recipe which was “Rishia Zimmern’s Chicken With Shallots”. I mixed up leeks with shallots when I went grocery shopping. That’s it. It just felt stupid to have only two bullet points. Melt the butter on medium high heat. As you wait for it to melt, cover your chicken with flour and season with salt/pepper to taste. Remove the chicken from the pan to a side plate. Add the leeks to the pan and let caramalize (about 5-7 minutes). Add the wine, basil, thyme, and mustard. Add the chicken back to the pan. It’s almost too pretty to cover up. COVER IT ANYWAY. 5. Uncover and turn the heat to high. Let the sauce reduce for about 8-10 minutes. 6. Add the halved tomatoes and cook for about 3 minutes. 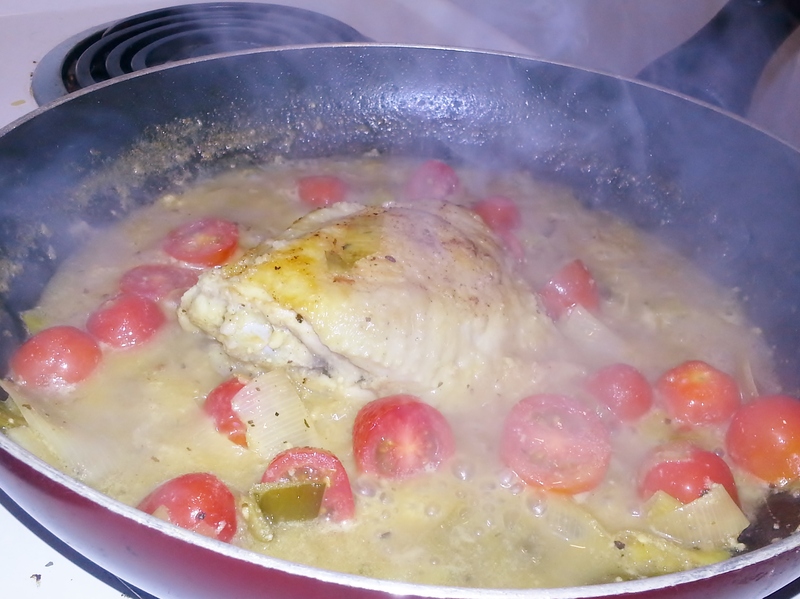 Same pan, same chicken, now with more tomatoes. 7. 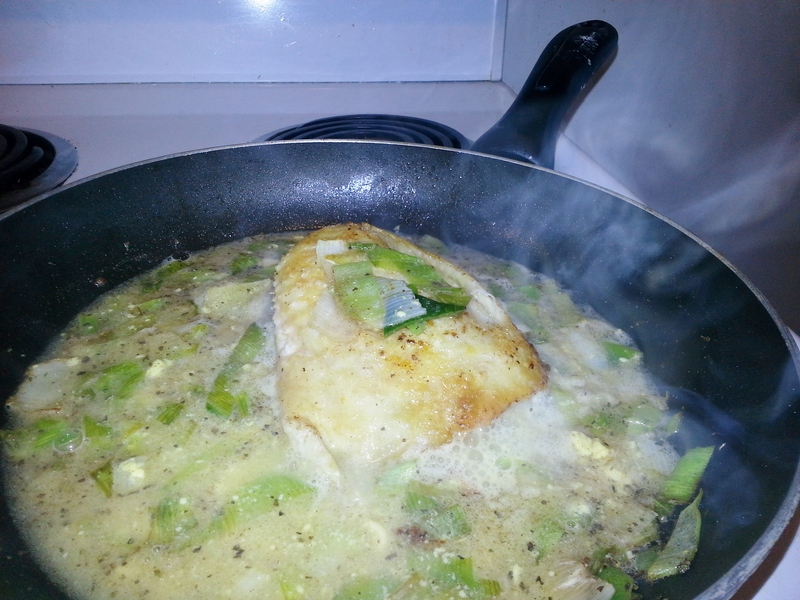 Serve, preferably over rice or with bread to mop up the sauce.